We already have a supplier is a common objection on sales appointment cold calls. Many prospects you contact will already have a supplier for what you sell. Unless something goes wrong with that relationship, at a time just before you phoned, the prospect may want to stay with that supplier. Fear of making a bad decision. Not wanting the hassle of negotiating with a new supplier. Their boss took on the existing supplier. And many more reasons that you may not get to hear about. Overcoming this common sales objection can be done successfully by offering to show the prospect what you can supply so that they can compare your proposal to what they have now. They can compare what they get now to your proposal. After meeting with you they will know whether or not they should be thinking about change. They can show that as a buyer they are taking actions to keep informed on options available. Meeting with you could help them push for improvements with their current supplier, such as pricing, service levels, delivery options, order sizes, and many more features. It’s really important to remember that you are not trying to sell to them at this stage, you are offering your time to give them knowledge and information so they can then make a decision. 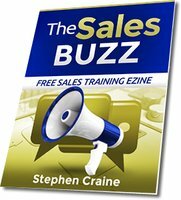 Gaining a sales appointment is the objective. Selling your product is done at the appointment. Don't try to compete with the competition on the sales appointment call. Respond by letting the prospect know that most of your current customers had a supplier before they came to you. After seeing what you could offer, or trialing your products, they then made a decision to buy from you. The above is just one objection that can stop you're calls and prevent you getting those important meetings with buyers.